Lockie Ferguson will not play this game. Who will replace him? Unlike the ODI series, the T20I series between New Zealand and India has been a close affair. The visitors managed to register their maiden win in the format in the Kiwi nation in Auckland and would be eager to end the gruelling Trans-Tasman tour on a winning note. New Zealand will be looking to make amends for a poor show and are desperate to bounce back after a thrashing in the 50-over tussle against the Men in Blue. As far as the team combinations are concerned, both the teams might not make many changes. India surprisingly retained their series opener side for the must-win encounter and it worked for them, while the Kiwis also did the same. But the home side will definitely be making one change to their side. Lockie Ferguson has been rested for the third T20I and Blair Tickner will most likely get the chance. 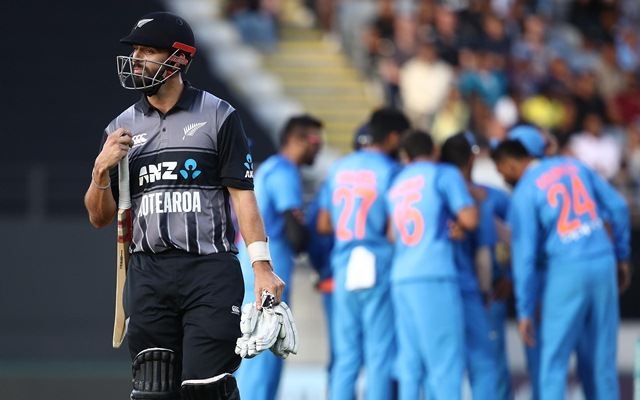 The third and final game of the 3-match T20I series between New Zealand and India will be hosted by the Seddon Park in Hamilton. The match starts at 8:00 PM local time (7:00 AM GMT) (12:30 PM IST). 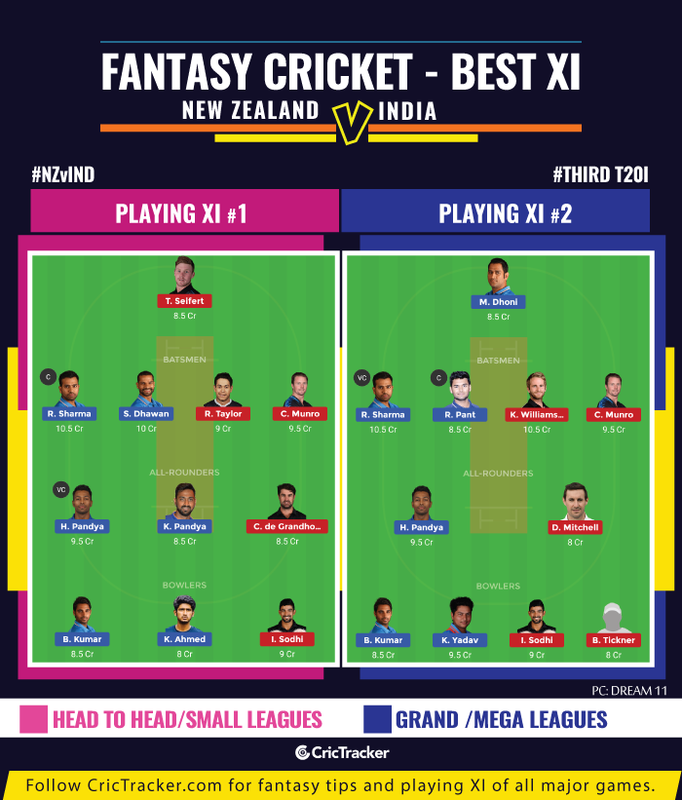 New Zealand: L, W, W, L, L.
India: W, L, W, L, W.
Tim Seifert (WK), Colin Munro, Kane Williamson (C), Ross Taylor, Daryl Mitchell, James Neesham, Tim Southee, Colin de Grandhomme, Doug Bracewell, Blair Tickner, Ish Sodhi. Bench –Mitchell Santner, Scott Kuggeleijn. Rohit Sharma (C), Shikhar Dhawan, Vijay Shankar, Rishabh Pant, Dinesh Karthik, Hardik Pandya, MS Dhoni, Krunal Pandya, K Khaleel Ahmed, Kuldeep Yadav/YuzvendraChahal, Bhuvneshwar Kumar. Bench –Kedar Jadhav, Shubman Gill, Siddarth Kaul. Note: India might play an unchanged side once again. Kuldeep might be given a chance in place of Chahal as he missed the last three games in the tour. Blair Tickner replaces Lockie Ferguson in the squad. In New Zealand – 3/28 to become first Indian to take a 3-fer in T20I in NZ. Bowlers – Bhuvneshwar Kumar, Khaleel Ahmed, Ish Sodhi. Bowlers – Bhuvneshwar Kumar, Kuldeep Yadav, Ish Sodhi, Blair Tickner. Given their recent record, India are expected to win the series but New Zealand are no pushovers and expect a thrilling contest.